Sifu (Master) Tam was born in Hong Kong in 1963. 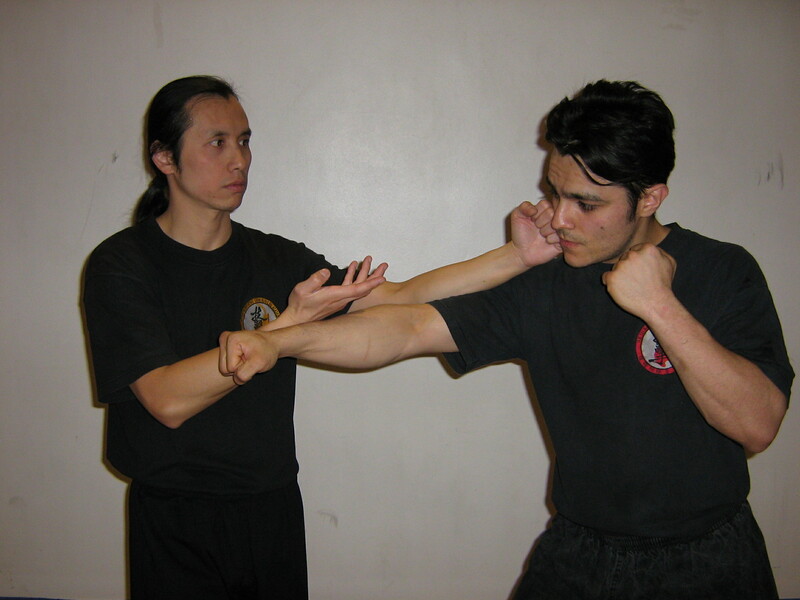 He started studying Wing Chun (this is the most common Western way of spelling for this particular system of kung fu) in grade 5 in primary school and has since developed into a very experienced instructor. 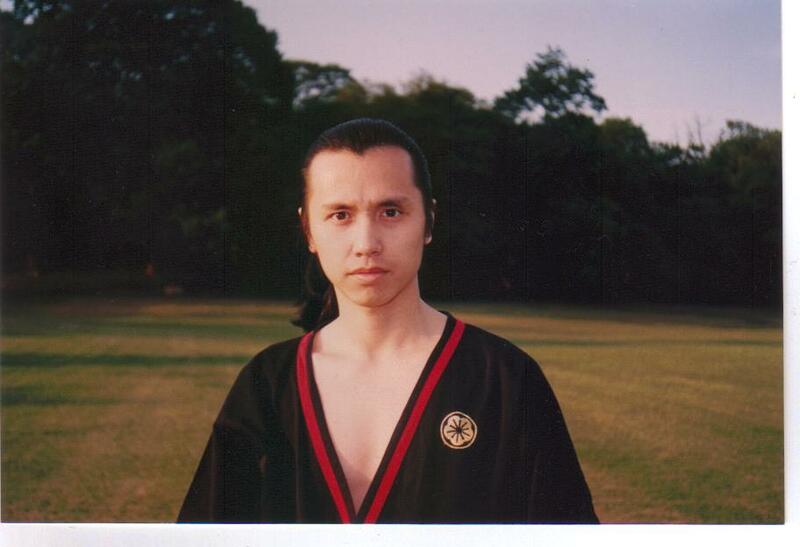 One of his school teachers first accepted him as an extra-curriculum student of Ving Tsun (yet another spelling and again, a way of distinguishing between the different interpretations of the same system). His progress was very impressive and by the time he reached high school, his interest in martial arts took him on a journey into Taekwondo as well, which he studied at the local Y.M.C.A. Upon leaving school and after having completed his studies as an Electronics Mechanic, by now aged 20, he transferred from Ving Tsun to the IWTA Head Quarters in Hong Kong to continue his studies there. Because of his level of skill, he was allowed to join the well-known and revered Grand Master Cheng Chuen Fun’s classes (10th level M.O.C. – according to the promotional system found in the book WING TSUN KUEN). As a result of a hearing impairment, Master Tam felt he had to work harder than his kung fu brothers to keep up with them. Grand Master Cheng soon realized that his quiet, serious and hard-working young martial artist had developed a way to compensate for his disability by paying minute attention to detail. It became clear that this attribute, together with a real and natural talent, would help him in becoming an outstanding instructor. During his time in Hong Kong, he was chose, as their technical skills specialist, to represent the IWTA in performing demonstrations. 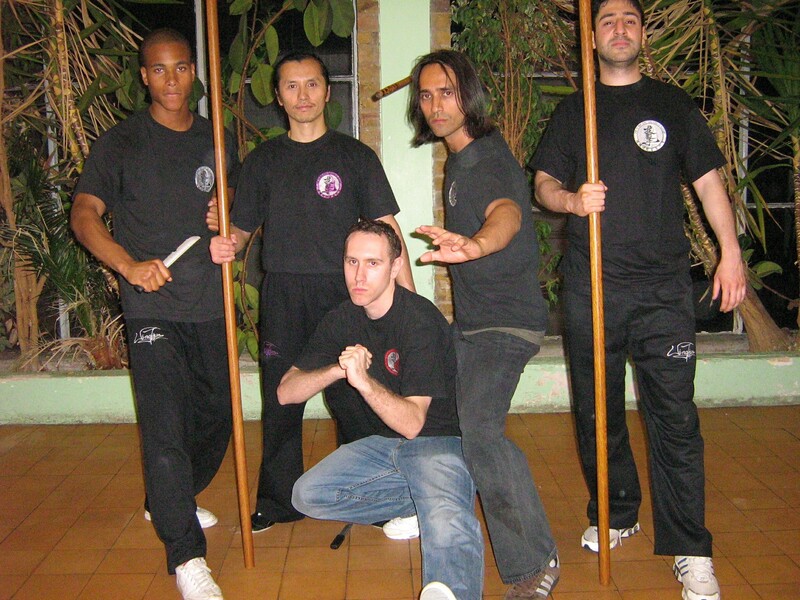 This led to many prestigious invitations from different institutions, including the All Chinese Martial Arts Show, where members from both the Ving Tsun and Wing Tsun schools in Hong Kong participated. Other invitations came from three of the major universities in Hong Kong, two Hong Kong TV companies, as well as TV companies from Japan, America and the UK. In London he was invited to perform a demonstration for the Gandaki Welfare Association (Nepalese in the UK) at their annual festival in London. And another invitation has been extended for him to do a demonstration at the Mind Body Spirit Festival at the Royal Horticultural Halls in Victoria. He has also appeared on the BBC programme ‘Mind Control’ with Derren Brown, when he was asked to demonstrate his short distance punch (one-inch punch). You can still see the clip on You Tube! Master Tam’s one-inch punch is at 3:22. But his very first public performance took place when he was still in primary school. In May 1997 Master Tam, together with Prof. Leung Ting, met with Bob Weatherall, Secretary for the British Council for Chinese Martial Arts when Master Tam’s Wing Tsun School was officially registered in the UK. Two years later Master Tam resigned from the IWTA, but he continues to train at the Head Quarters every year. He therefore chose to change the spelling for his school from Wing Tsun to WingTjun, firstly because it differentiates him from the IWTA and its associates in Europe, the EWTO, and in the UK, the NWTO (GB). Secondly, it distinguishes the teachers’ different interpretations of the same style, be it Wing Chun, Ving Tsun, Wing Tchun, etc. Master Tam would like to continue to show and teach this most popular and exceptional practical Chinese Martial Art to all individuals, no matter their culture or background, living both in the UK and abroad. Furthermore, Master Tam’s in-depth studies of traditional external and internal Martial Arts, Kickboxing, Grappling and Ground-fighting has served to improve his understanding of Martial Arts in its entirety, and continues to assist him in being the best Instructor he can be.